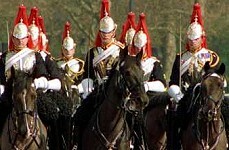 This page is about The Household Cavalry. 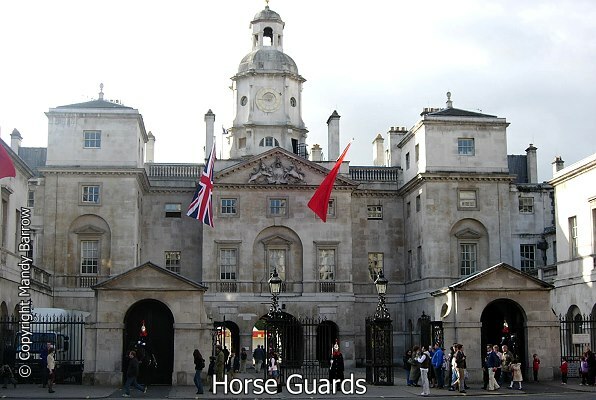 The Queen's Household Cavalry is the mounted guard at the entrance to Horse Guards Arch, which is located east of St James's Park. It is the official main entrance to both St James's Palace and Buckingham Palace. 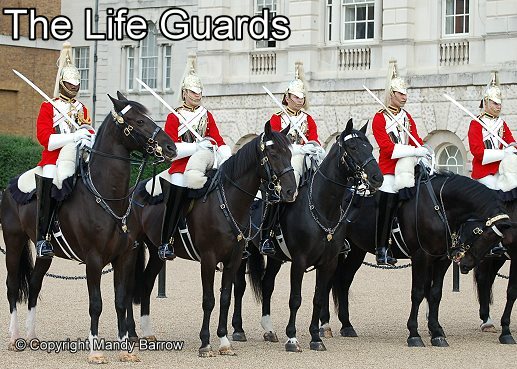 The Guard Changing Ceremony takes place takes place daily at 11am (10am on Sundays) and lasts about 30 minutes. The mounted sentries (who change every hour) are on duty each day from 10am until 4pm, at which time there is a dismounted parade of the Guard.Two dismounted sentries remain on duty until the gates are shut at 8pm, when only one sentry is left on guard until 7am when the second sentry returns on duty. 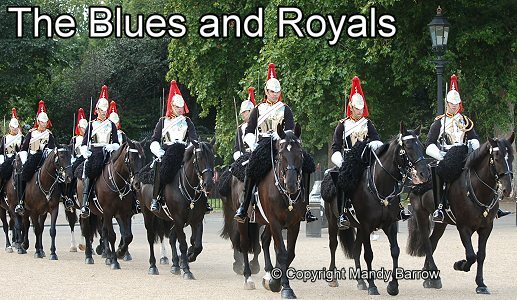 There are two Household Cavalry Regiments - The Life Guards and The Blues and Royals.